The Deco Heritage Mix Multi feature tile is an attractive multi-coloured wall tile, which is perfect suited for bathrooms and kitchen splashbacks. 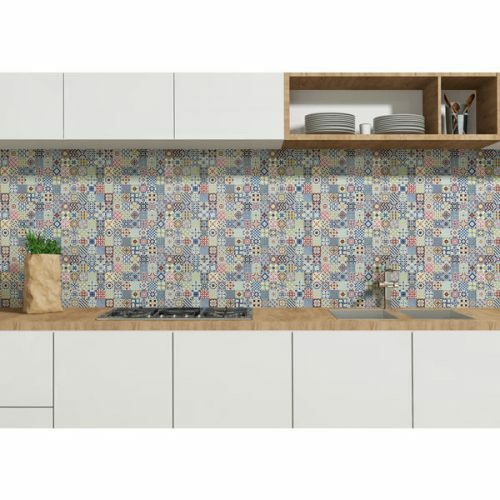 Featuring a cheerful design comprising of a mix of various mosaic patterns, the Deco Heritage Mix Multi tile will allow you to add a touch of freshness to any space. 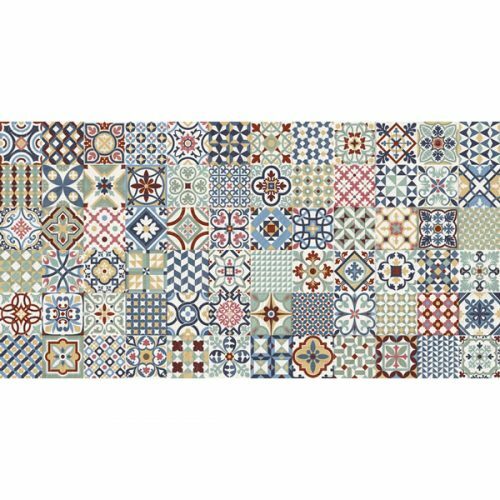 The Deco Heritage Mix Multi feature tile measures 320x625mm in dimensions and is sold per piece. 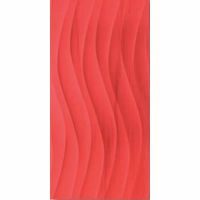 It is suitable for use in any indoor applications both as a wall tile and as a floor tile. 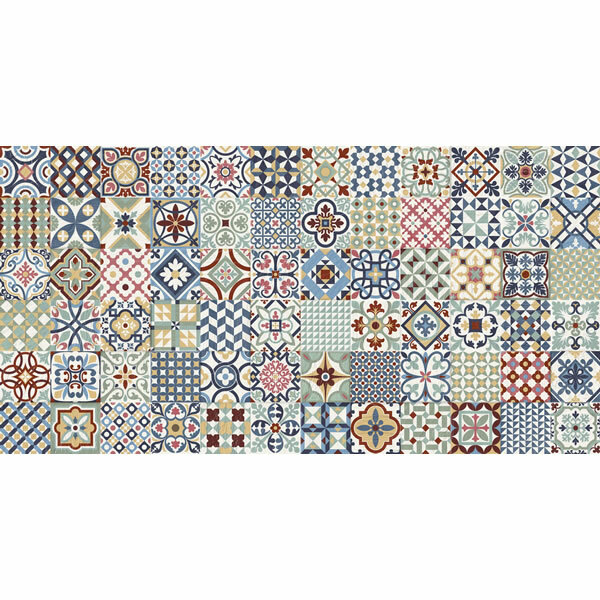 Enjoy the best in practicality with this feature tile. Due to special manufacturing, this tile can be used in wet areas and high foot traffic areas including shower walls and floors. It is rated as P2 for the Wet Pendulum Test and as R9 for the Oil-Wet Inclining Platform Test. Trust that this feature tile is a superior grade product that exhibits the best in terms of quality. It is incredibly durable and it will retain its looks and surface finish even after several years. 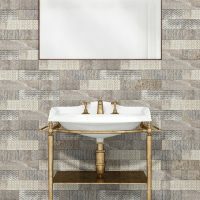 Make a bold statement in your bathroom with the Deco Heritage Mix Multi feature tile from Ross’s Discount Home Centre. 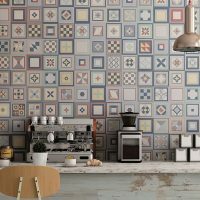 Buy feature tiles in Perth at the lowest price from our online store today!